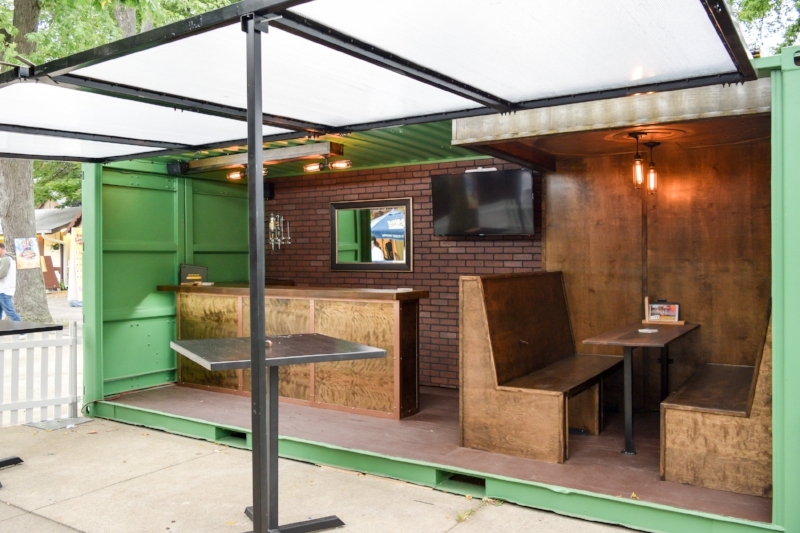 One of our new members, GREEN features a hand-crafted seating nook, reclaimed wood and steel bar, Edison-style accent lighting, LED accent lighting, LED TV, plug-and-play sound system, shot dispenser, and the warm feeling of cheerfulness that you get in only the best Irish pubs. 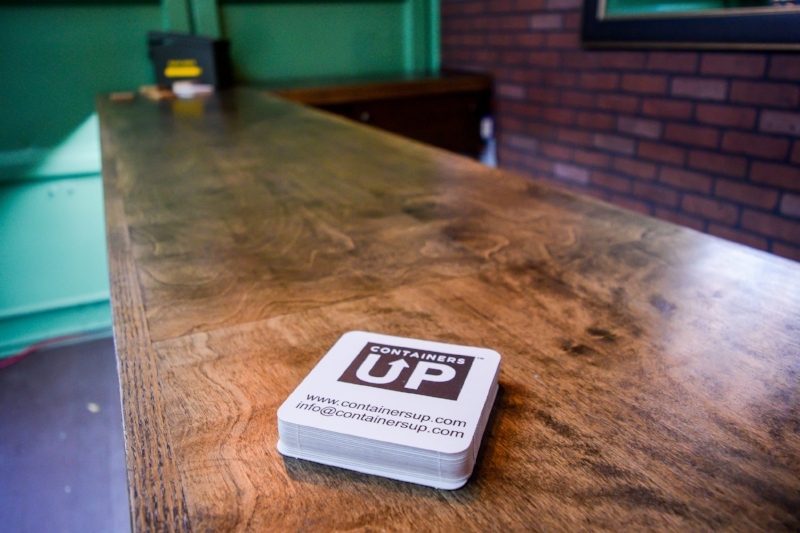 Whether you're Southside Irish, or just looking for a cozy place to have a pint, this one will always make you feel at home. 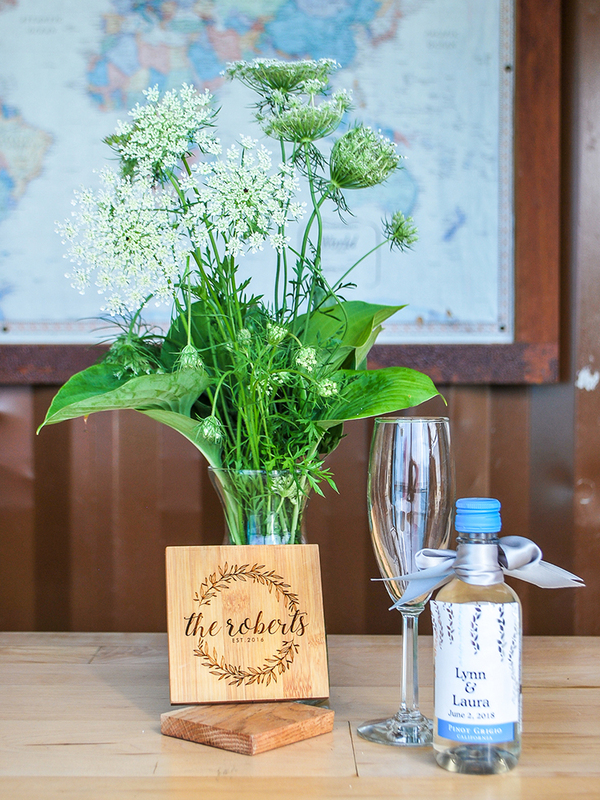 Need a space that can be decorated easily to reflect the theme of your event? RED is your answer. Delivered with a neutral, creamy interior. 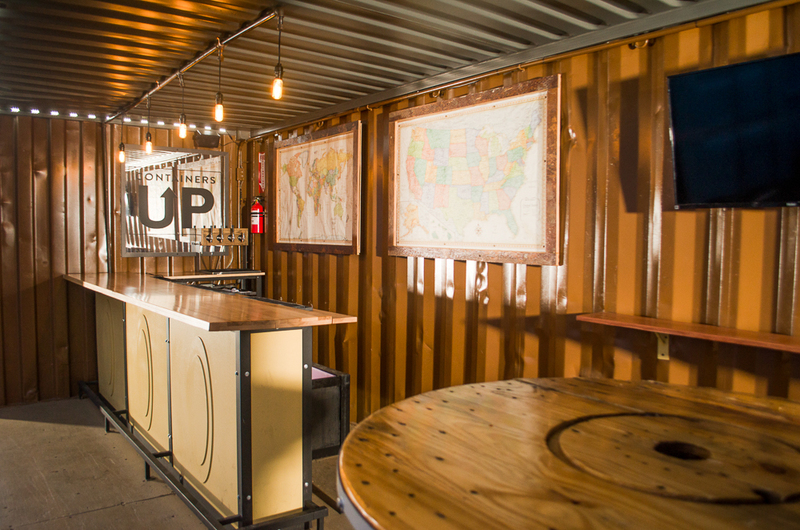 The giant bulletin board allows you to make this container bar your own. With a few thumbtacks your party can take the shape of any theme you throw at it. 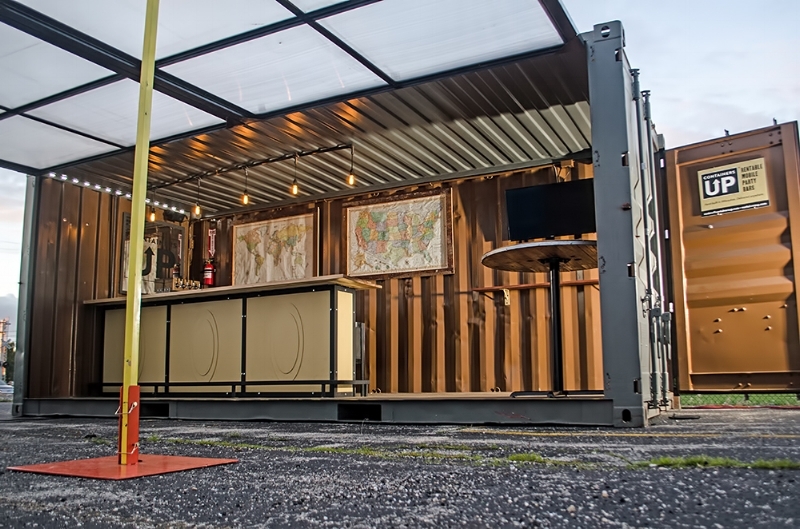 Included is a 6' bar, 2 flat screen TV's and a booming surround sound system. 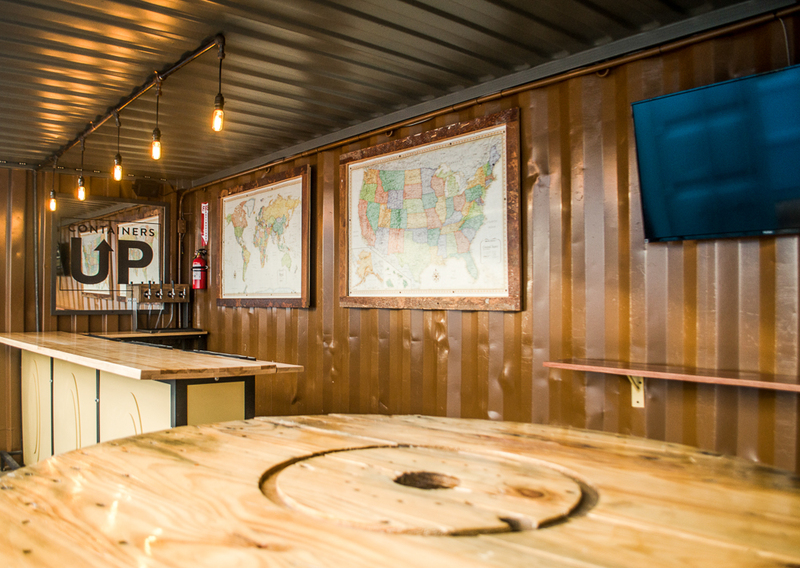 Our flagship bar, meshing reclaimed materials with modern styling. 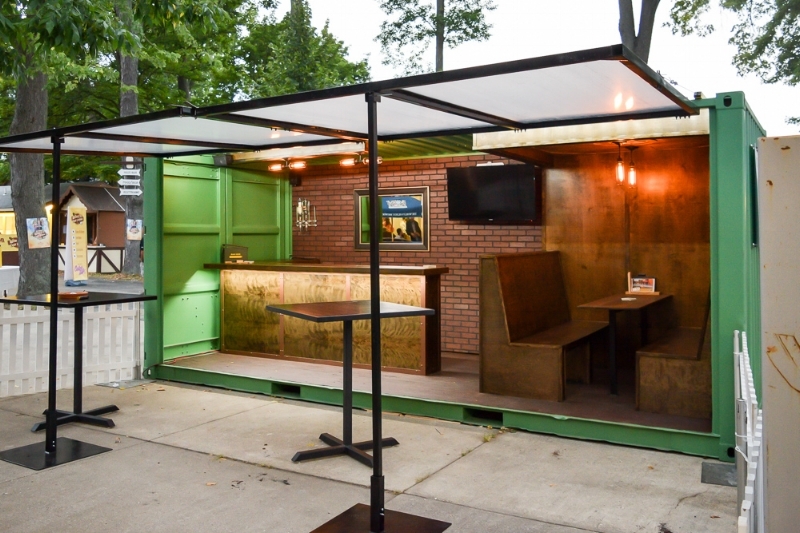 ORANGE features a fold-up awning, creating a 20' x 16' footprint, with built-in TVs, audio system, bar stools, LED lighting, pub tables, alcohol rails and optional Kegerator beer taps. 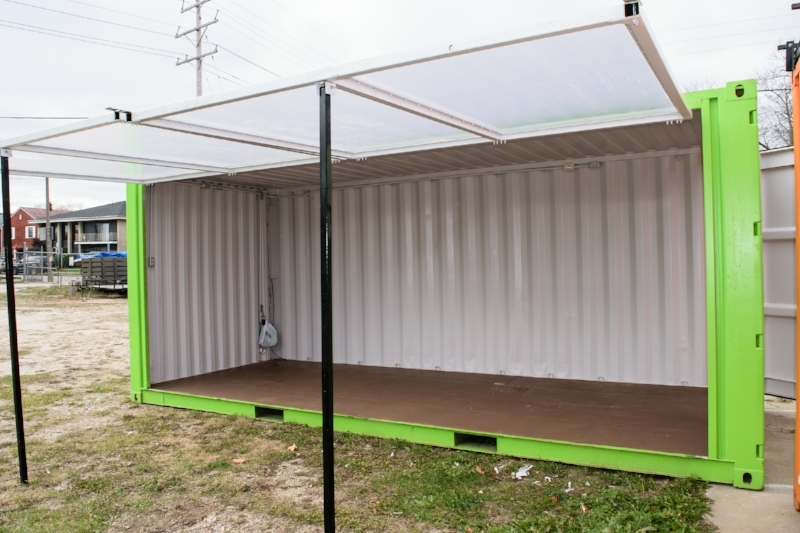 Orange is also our first container featuring an upper deck! Inspired by Little Havana, GRAY is a throwback to classic cocktail and cigar lounges. 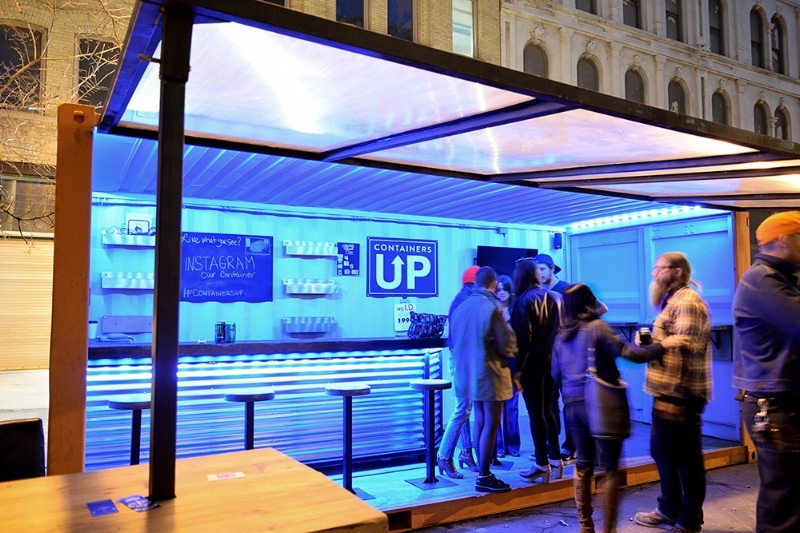 The stylized walk-up bar has a natural look and a footprint of 20' x 16' with a fold-up awning. 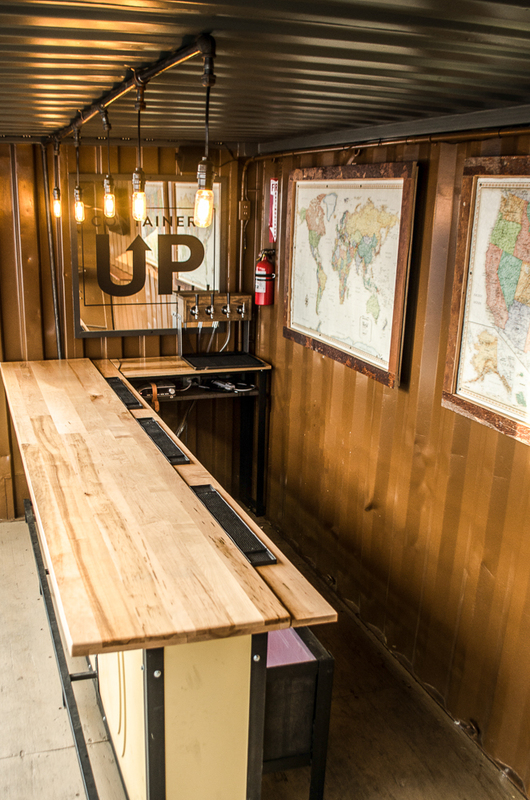 With a TV, illuminated foot rail, LED lighting, Edison bulb lighting, optional Kegerator beer taps and more. Need design flexibility? Look no further. 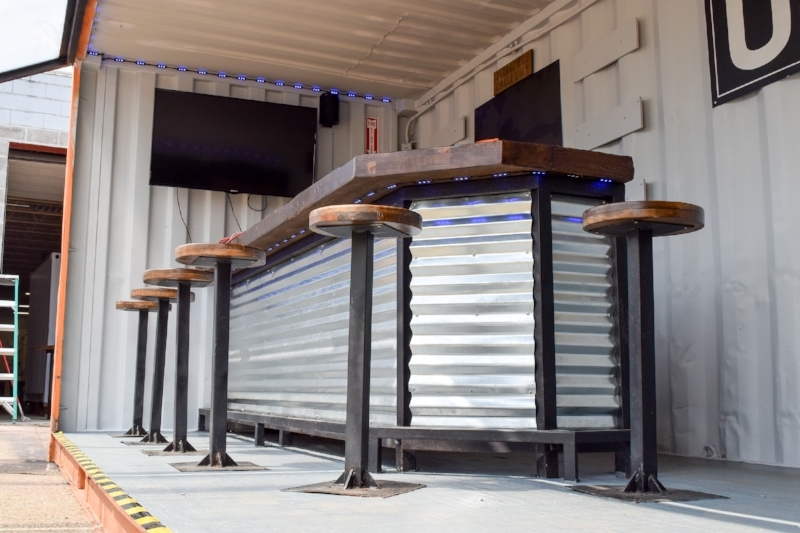 LIME has a bar that extends the entire length of the 20’ container. Only need one section? We can move it. Need two? No problem. Completely empty? Can do. 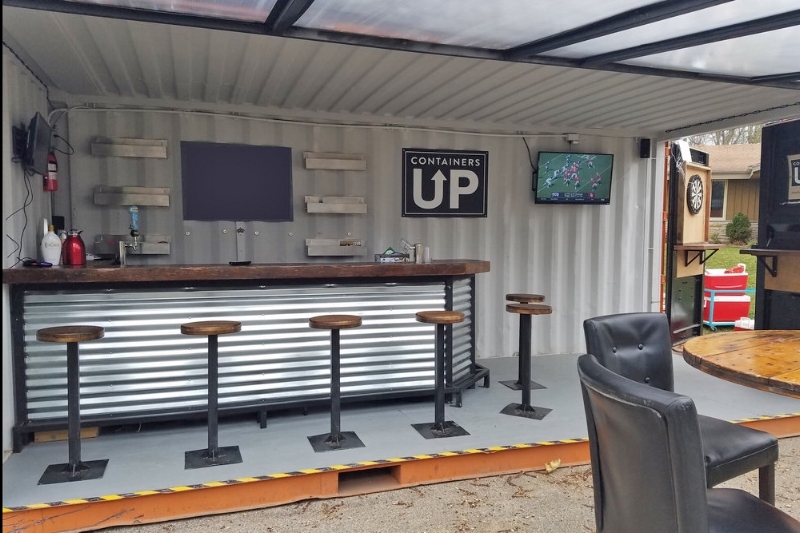 Regardless of the bar configuration you need, the container will come with an attached TV on the wall and plug-and-play surround sound system. 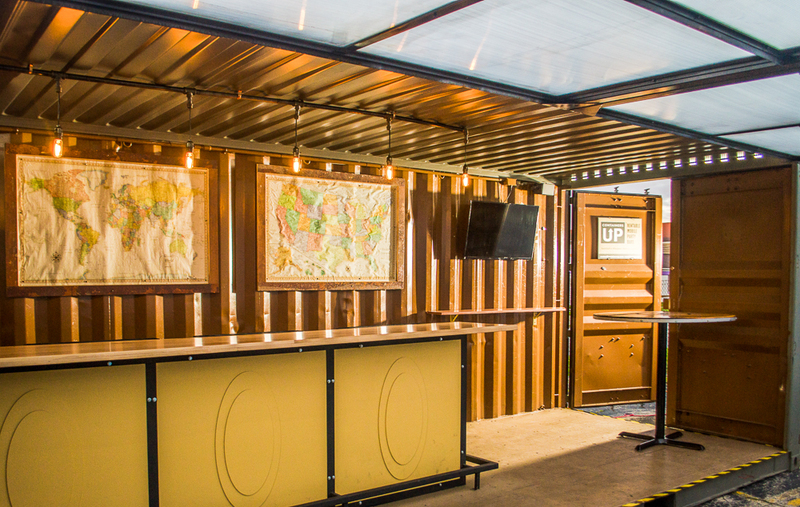 Our pop-up shop/lounge features a contemporary look and flexible concept. BLUE is a blank slate ready for your imagination to take hold. 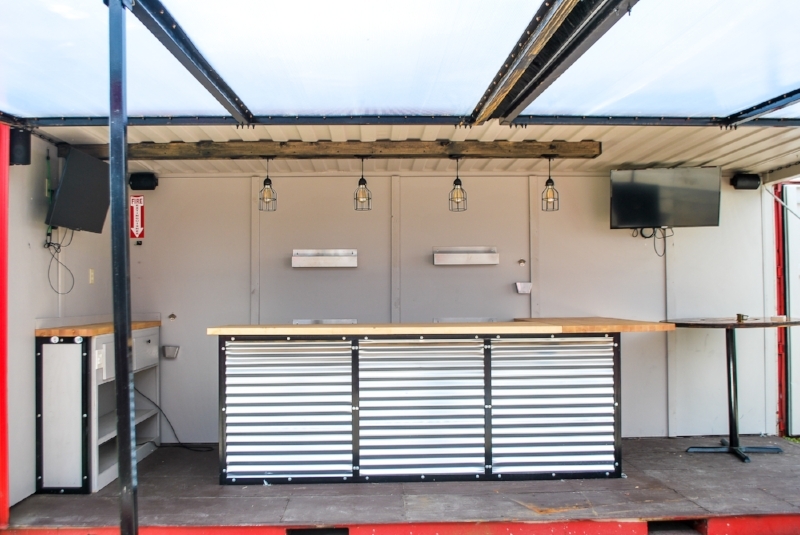 Awnings fold up on both sides to create a wide-open 20' x 24' space. 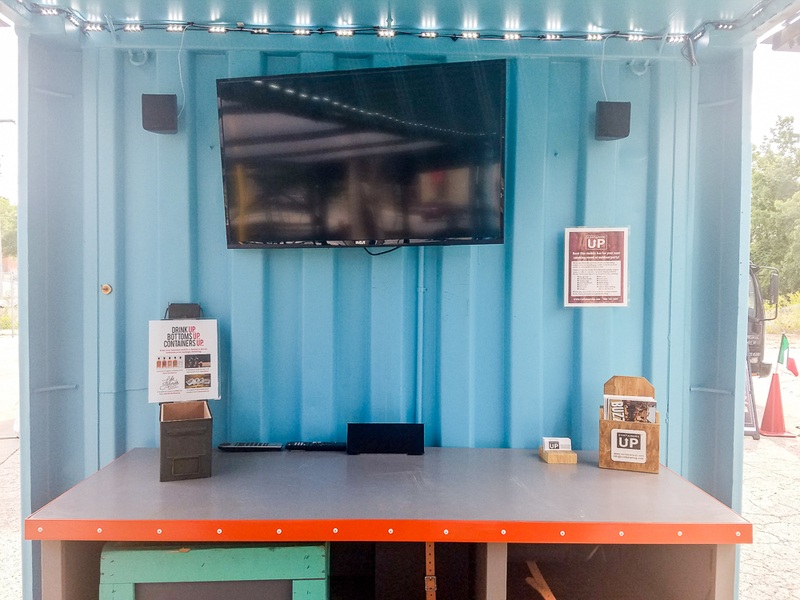 Features 1 HDTV, a built-in desk, LED lighting and surround sound system. 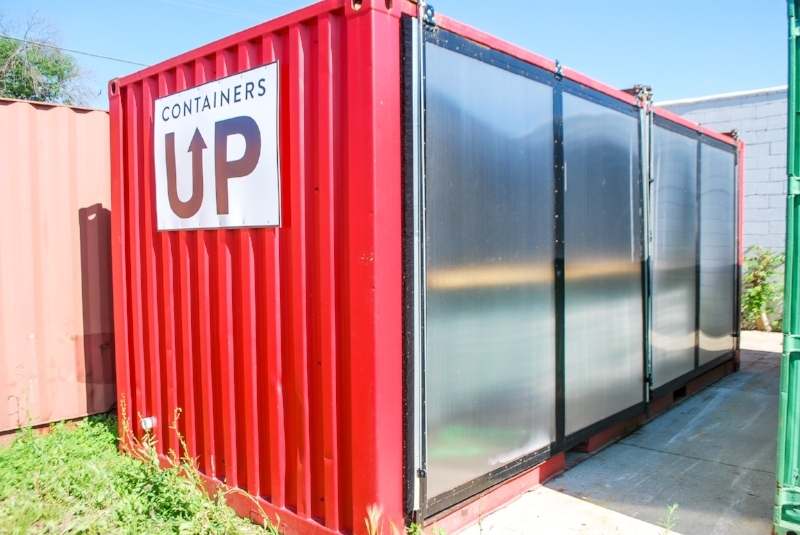 Twinning is winning, especially when it comes to the newest members of the Containers Up family. 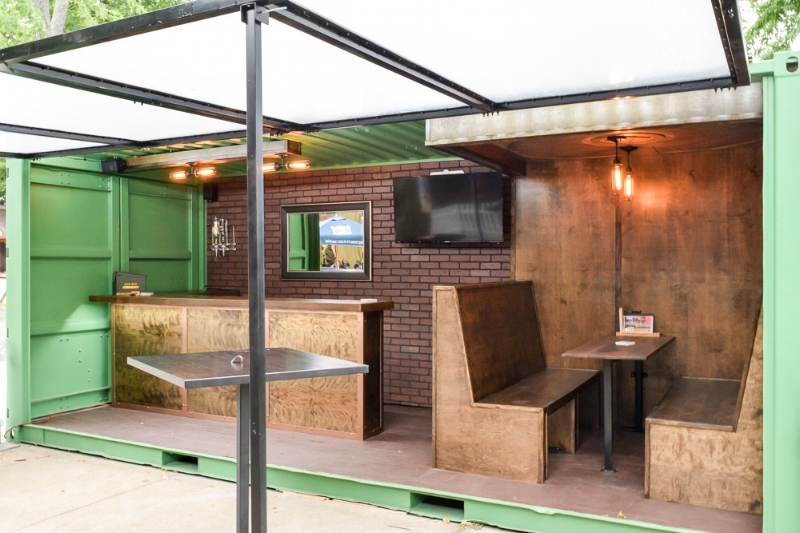 Brightly painted, these cheerful containers include our shelter and shade friendly door/awning system as well as windows in the surrounding walls. 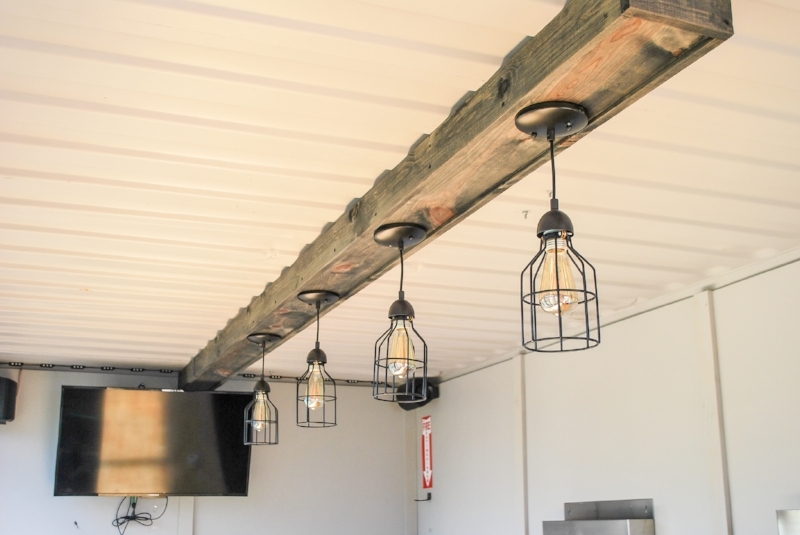 Looking for twice the space? Pink and Yellow can join forces, literally, to create an even larger party space. 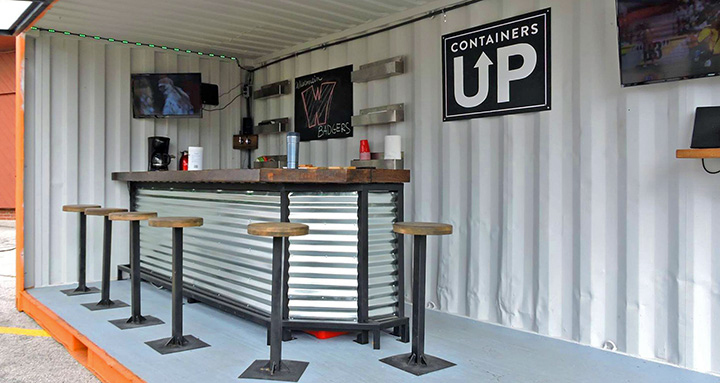 To make these even sweeter, each container bar comes standard with TV's and a booming surround sound system. 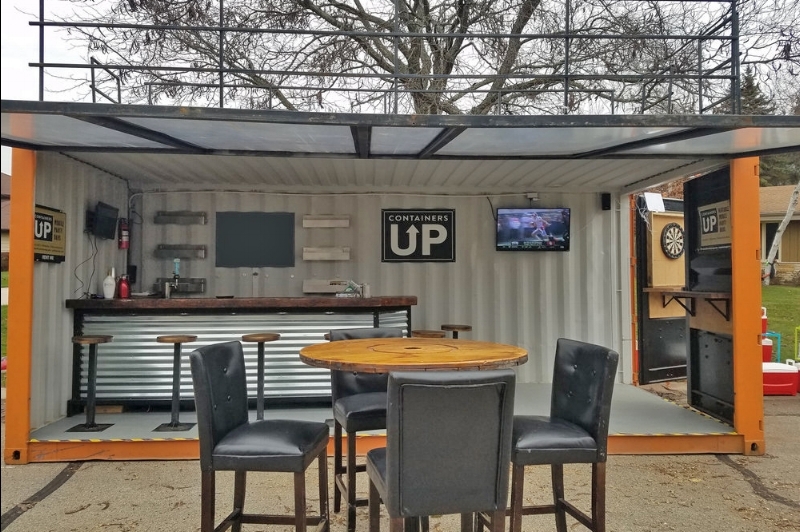 Available for rental in September of 2018.